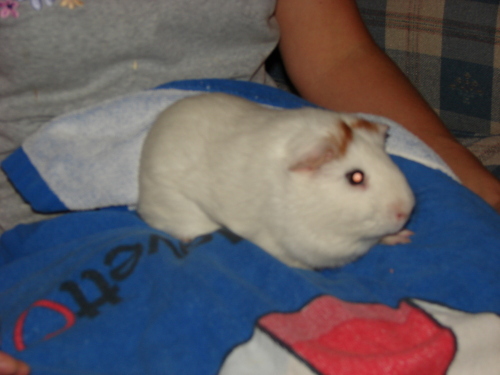 Welcome to our guinea pig rescue organization site. 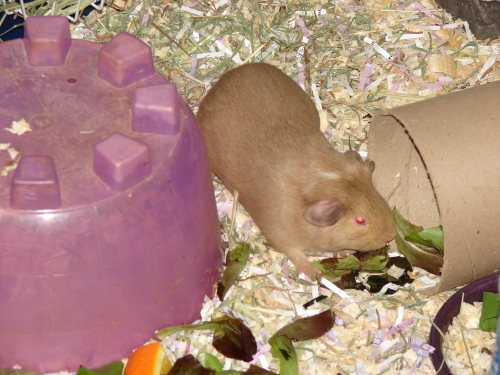 Our mission is to rescue any guinea pigs in need of a better home than their current situation. Below is a list of available rescue Guinea Pigs that are up for adoption. 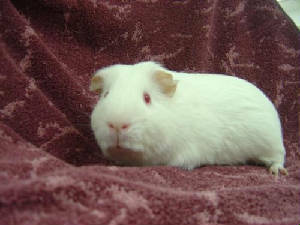 For the most up-to-date adoptable list check out our petfinder.com listing of adoptable rescue guinea pigs by clicking below. Powder came to us from the SPCA. He will come out to see what you are doing. He is very easy to handle and not nippy. We are trying to teach him to eat his veggies. I think the only thing he ever got to eat was carrots. We believe that Jo Jo is his brother, but they are not living together. Sprinkle came to us from a local shelter. He is about 1 year old and very social, although he is not wild about being picked up. He loves floor time and seems happy wherever he is. He always comes up to the front of the cage, even at the vet clinic, where there are tons of other animals passing by him. He does have lots of chunks missing from his ears, maybe from an unhappy cage mate? Although he has not offered to nip or bite us, I think he would do best with an experienced pig person because of his strong personality. Paris was the victim of a Pet Store mistake. Her mother was supposed to be a boy, then she had babies. Now she is looking for a forever home. She is to young to spay, so she is looking for a home with other females. She is a red American Shorthair with ruby eyes. Her eyes do look different and we believe that she has a genetic anomaly. We believe that it is only cosmetic and her little wink only adds to her charm! 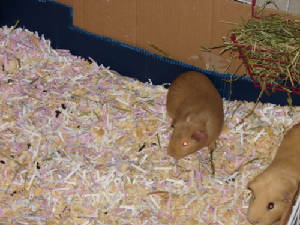 Please get in touch to offer comments and help get involved with our guinea pig rescue organization.